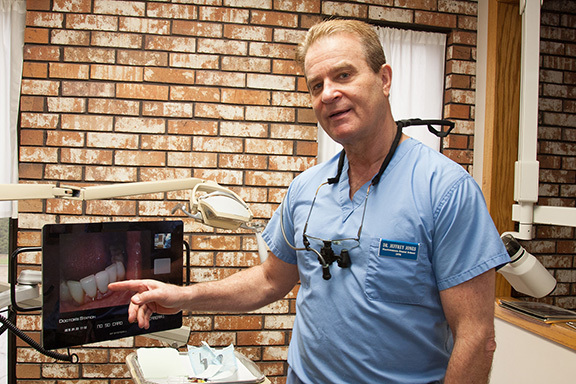 Dr. Jeffrey Jones is passionate about his patients’ dental health. As a licensed general dentist, he offers a broad-based practice that includes the normal procedures patients need on a regular basis — exams, cleaning, filling the occasional cavity, and the ever-present reminder to floss every day — in addition to more complex procedures, such as orthodontics, oral surgery for wisdom teeth and implants, laser gum surgery, dentures, cosmetic dentistry, and even treatments for headaches. With 40 years of experience and more than 1,500 hours of continuing education credits, Dr. Jones focuses on quality and service. Dr. Jones grew up in the Bloomington-Normal area and attended Tri-Valley schools and Illinois State University. After graduating from Northwestern University Dental School, he came back to Central Illinois to be close to family. 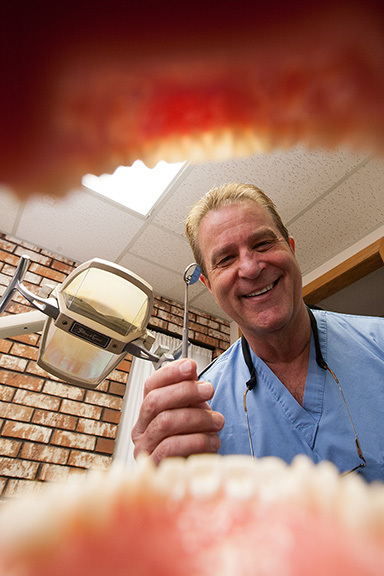 He served with an established dentist from September 1978 until March 1981, when he opened his own practice. Over the years, he has stayed true to his calling of serving the patients in his care, which means, among other things, committing to ongoing continuing education in order to stay abreast of the advancements in the field and using the best dental materials and state-of-the-art equipment. He also values quality, so he takes the time to tell patients about the options for addressing whatever dental problem they may have — whether it’s a straightforward desire for a whiter, brighter smile or a complex case that may take months to achieve the desired result. In the 40 years he’s been practicing, the ongoing commitment to education allows him to be at the leading edge of new technology and procedures. This enables his patients to rest assured that they will receive the highest quality treatment with the best materials in tandem for a long-term, individual dental health plan — a plan that always includes a process for future success, not just a single visit. In a world where specialists abound, Dr. Jones offers his patients the dental treatments they require or desire without the need to find another dental chair. In many respects, he offers all a patient would need for their dental care throughout their lifetime, starting with treating children’s teeth all the way to providing dentures. 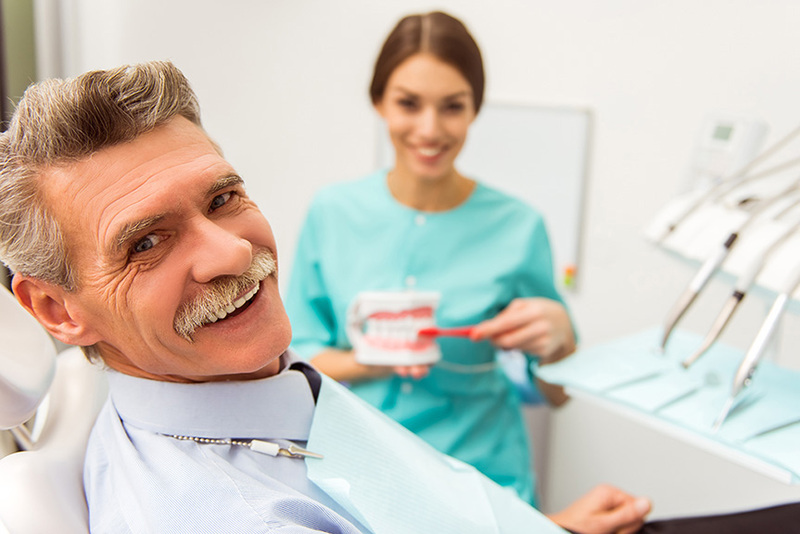 Standard services include decay prevention programs, fillings (tooth-colored, so they don’t stand out), and painless, problem-free root canal treatment. Because going to the dentist can be scary for a child, Dr. Jones’ office offers kid-friendly options to help distract them as necessary (CD collection with earphones, televisions, and even Nintendo) as well as special equipment to make the procedures less memorable (nitrous oxide, oral sedation techniques) and faster (faster curing lights). 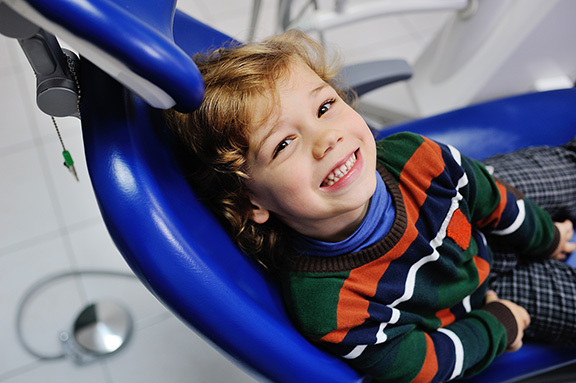 Above all, a caring and kind attitude helps children feel better about going to the dentist. Parents can even stay in the treatment room if the child prefers. Dr. Jones also offers Invisalign orthodontic treatments for kids and adults. Dr. Jones performs a variety of oral surgery options, including wisdom tooth extraction, implants, and mini-implants. He was first in all of downstate Illinois to offer Periolase laser treatment for gum disease. He was 198th in the world to be trained on this technology, which replaces the old method of cut, stitch, and amputate. "I was highly motivated and quite proud and purposeful to commit very early to this cutting-edge technology to help move the entire dental profession away from commonly used gum surgery techniques that often have major side effects, such as substantial long-term sensitivity, root decay, and significant cosmetic defects." A common dental complaint for older patients is poorly fitting dentures. Dr. Jones offers several options many have never heard of, including a palateless upper denture (in which the entire roof of the mouth is uncovered, allowing for easier speech, more comfort, better tasting food, and better fit), suction-cup dentures (a new technique which improves stability of the dentures, plus suction-cups can be added to existing dentures), and state-of-the-art, no-stitch mini-implants. These options make ill-fitting dentures an unnecessary frustration and improve quality of life because better-fitting dentures improve confidence and can decrease the feeling of “bigness,” plus they can eliminate stomach acid and other health problems caused by improper chewing. While dental health is paramount, Dr. Jones also understands the psychological and emotional benefits of having a beautiful smile. To that end, he offers several cosmetic dentistry services such as whitening, veneers, bonding, bleaching, even face-lift denture and reconstruction. Dr. Jones invented the “face lift” denture for patients already wearing a denture. The name is descriptive of the final effect, not an actual surgical procedure. Patients often claim their face looks fuller and that they look younger after using the denture. He’s seen miracles for patients who rarely smiled because they disliked their teeth so much, but after restoration and other procedures have completely changed their demeanor because they now like and are proud of their smile. Finally, for patients who suffer from chronic headaches, whether tension, sinus, or even migraine, Dr. Jones offers an FDA-approved device made of a slim piece of plastic and worn only at night that greatly diminishes and often eliminates the headaches, completely drug-free. “I’ve had many patients who have experienced success in curing their headaches with this oral device who have spent years seeking help from other specialists. 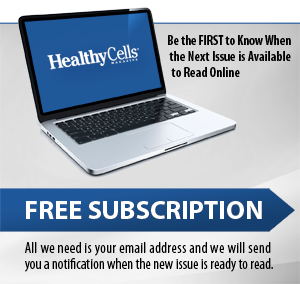 Public awareness of this device needs to dramatically increase, because results have been stunning with success rates above 90 percent. I’ve seen it change lives." While it is rare for visiting the dentist to be high on anyone’s list of favorite things to do, some people truly struggle with sitting in the chair, opening their mouth, and saying “ah.” They may have had a bad experience, have a strong gag reflex, or are highly pain-averse. Whatever the reason, this group finds it difficult to go to the dentist on a regular basis. Unfortunately, this can lead to a vicious cycle of poor dental health that needs more complex treatment, which leads to procrastination or even complete avoidance — which can lead to even worse dental health. For these patients, Dr. Jones is pleased to offer oral relaxation/minimal sedation dentistry. For more than 35 years and for hundreds of people, this strategy enables patients to be comfortable, safe, and, best of all, memory-free regarding the procedure. Many patients who fear the process of being in the dentist’s chair request this option, and it’s made a huge difference in their experience. 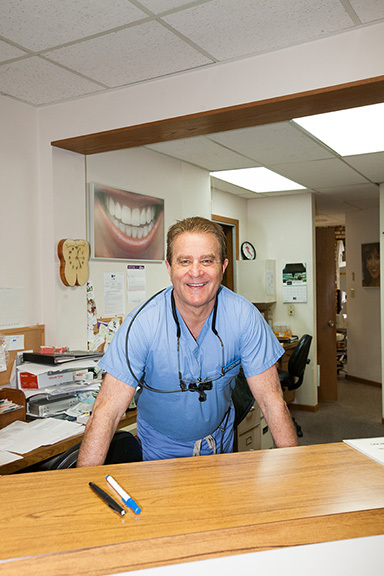 “Back in 1982, I was one of the very first dentists in central Illinois to offer minimal sedation. Many patients have driven from more than an hour away to receive this advanced technique. I’m happy to say our safety record after so many years continues to be 100 percent,” says Dr. Jones. To further alleviate a patient’s fears, a consultation appointment is scheduled prior to any dental work. Everything is explained in detail and Dr. Jones is happy to answer any questions or concerns. Once they get in the door and find out the benefits of this method, they find it’s the answer to all their dental prayers. A recurrent theme in the patient testimonials on Dr. Jones’ website (www.jeffjonesdentistry.com) is the excellent care they receive. Whether it’s a regularly scheduled appointment or an emergency situation, patients appreciate Dr. Jones’ personal attention to their dental health. One patient explains, “He tells me if something might hurt, but then he tries not to have it hurt!” Another says he drives 50 miles one way to his appointments due to the quality of the work and the “painless dentistry.” That says a lot about the lengths Dr. Jones goes to make his patients not only comfortable but also it speaks to his commitment to quality and service. Learn more about Dr. Jeffrey Jones at www.jeffjonesdentistry.com or www.implantandcrown2650.com. His office is at 305 S. Linden in Normal. Call 309-454-5830 for an appointment.